By Jennifer Michelle. May 11, 2018. 9:00 AM. By the time French writers Charles Perrault and Madame d’Aulnoy began recording the first formalized fairy tales, the concept of the Mother Goose figure who told them was already established. 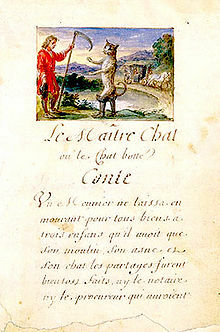 The first recorded mention of her was in 1650 when Jean Loret wrote in his collection La Muse Historique that a particular piece was “...comme un conte de la Mère Oye,” or “like a Mother Goose story.” This casual mention of Mother Goose to his reader indicates an understood familiarity with the image, akin to mentioning ObamaCare, Godzilla, or Saint Nick in modern times. In other words, by the time we started talking about fairy tales, we somehow already knew who told them. Perrault used the phrase in 1697 with the first published collection of fairy tales, Histoires ou contes du temps passes: Contes de ma mère l'Oye, which was translated to English in 1729 as Histories or Tales of Past Times, Told by Mother Goose. The connection was solidified, and the image of Mother Goose as teller of children’s tales has prevailed ever since. Many have theorized the origins of the sweet bonnet-clad character, but none have ever successfully attached Mother Goose to an individual writer or orator. It is likely that she evolved orally in Europe as most fairy tales did, not appearing in a print until the same time as fairy tales were being recorded in France. American colonists asserted in 1860 that Mother Goose originated with colonial printer Thomas Fleet, who they reported coined the term based on his serenading mother-in-law Elizabeth Foster Goose. Though records confirm the existence of both Fleet and his singing mother, no proof of the book Mother Goose’s Melodies he claimed to have published in 1719 has ever been found. The Fleet theory is dismissed by nearly all Mother Goose scholars and the mystery of her origins remains, however. 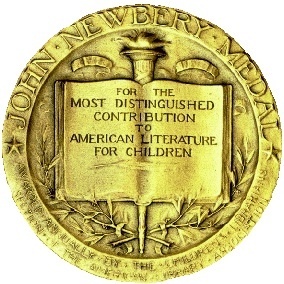 John Newbery and his protégés, including Thomas Carnan, did their part to popularize the title Mother Goose. Carnan published Mother Goose's Melody in the mid-late 18th century, and we can all attest to the fact that the title Mother Goose continues to be linked to children's nursery rhymes. mind than does Mother Goose herself. In conclusion, the image of Mother Goose evolved from foggy beginnings in France and America to her universal position as childhood symbol during the 1800s with repeated productions of nursery rhyme collections. She was an easy reference to set children’s books apart from other anthologies, and at least one publisher in the 1900s also viewed the collectible nature of such books as an obvious reason to capitalize on the familiar title and wholesome image. Having survived questions of origin, Mother Goose is now part of the canon of children’s literature and will likely retain her place as nursery muse for centuries to come. This post has been revised from its original.